Social Ventures Australia (SVA) is delighted to be working with Samsung Electronics Australia to provide STEM education resources and opportunities for disadvantaged students in communities where they are most needed. 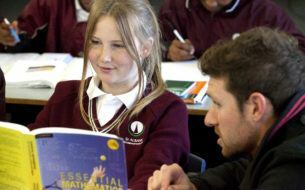 A disproportionate number of school children in Australia’s low socio-economic communities are struggling to achieve a basic level of mathematical literacy, compounded by other factors such as declining levels of information and communication technology (ICT) literacy and a lack of access to STEM expertise and influence. They are less likely to develop their talent in STEM, and access the high growth STEM and STEM-related occupations of the future, where as many as 75 per cent will require these skills and knowledge[i]. The program will offer professional development, STEM-specific training, as well as access to STEM intervention strategies and resources. This will support the 14 selected schools to advance their students’ knowledge, and respond to their changing education demands, equipping them with the STEM skills needed for future prosperity. The Bright Spots Schools Connection STEM Learning Hub schools have been selected because they demonstrate best practice in STEM education in public schools from low socio-economic communities in New South Wales, South Australia and Victoria. These schools are already contributing powerfully to STEM education in primary and secondary schools, and the program will help them to build their work. They will feed back into SVA’s wider Bright Spots Schools Connection, enabling best practice in STEM-related teaching in 48 schools across the three states. The program draws upon SVA’s expertise in working with high performing schools in challenging communities, and in sharing successful teaching and learning practices with schools facing similar challenges. 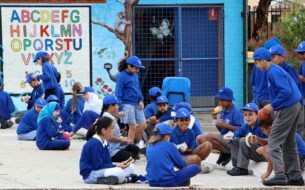 Some of the new schools are Mount Burr Primary School, Prospect North Primary School and Wirreanda Secondary College in SA; and Sunshine College, Wallarano Primary School, Lang Lang Primary School, Wonthaggi North Primary School and Wonthaggi Primary School in VIC. While it is widely accepted that STEM skills are critical, there is even more urgency in disadvantaged communities. By the age of 15 students can be up to five times more likely to be low performers than a student in a higher socio-economic area[iii]. 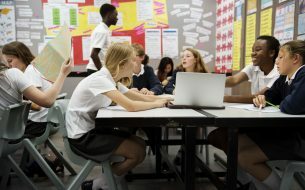 There is a considerable gap in resources and achievement levels within schools from different socio-economic communities, and STEM is at risk of becoming a source of even greater inequality in education. This program aims to address how to most efficiently create high quality STEM education in our most vulnerable communities. 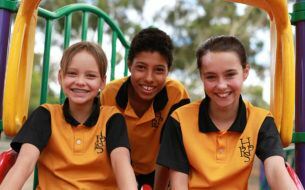 The Bright Spots Schools Connection works closely with the Victorian, South Australian and New South Wales Governments and the Catholic Education Office Diocese of Melbourne. The STEM Learning Hub brings STEM expertise and support to schools in communities where those resources are most needed. The SVA Bright Spots Schools Connection identifies and invests in Powerhouse schools that have demonstrated excellence outcomes despite challenging circumstances. The Connection identifies Star Hubs schools that have the appetite for change, and supports them to access and understand the evidence on successful school improvement.